PODCAST: Cyber Crime. Are we safer than we were a year ago? Andy Bates the Executive Director of the Global Cyber Alliance is tasked with fighting the systemic causes of cyber crime and fraud on the internet in Europe, middle east and Africa. 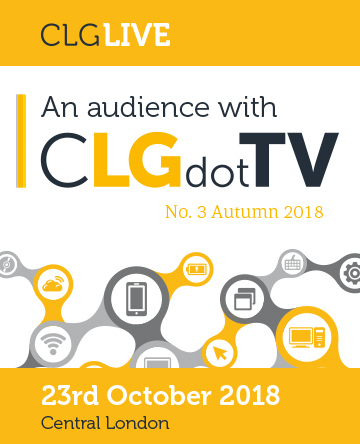 Andy will be hosting a CLGdotTV broadcast from the Derbyshire Police Headquarters with special guest Peter Goodman Chief Constable of Derbyshire on Friday 7th September. Peter Goodman is also the National Police Chiefs' Council lead for cyber crime. The programme on 7th September will look at recent developments in the fight against cyber crime and touch on how small and medium sized organisations need to get involved. However before the directors of CLGdotTV allow Andy to seize the tiller we wanted to ask him a short sharp question. "Are we safer than we were a year ago?" Below you can listen to this podcast or download it from our own CLGdotPOD environment or browse our podcast library or set up a subscription with iTunes & Spotify to alert you when new CLGdotPOD podcasts are published. NB Spotify and iTunes do security moderation and may take 24 hours from when we publish to make the podcasts available.